Join us on this 7-day journey that you will never forget. From magnificent mountains to rugged cliffs, rice plantations and long black sand beaches, it’s no surprise Bali is known as the island of the Gods. There is a sacred and spiritual atmosphere in the Balinese land from sunrise, when local women spiritually greet the new day, right through until sunset. Retreats are periods spent away from your everyday life. They offer time and space to do something different. More than a holiday, a yoga retreat adds a blend of physical movement, focused breathing, reflection, meditation and lots more, all of which create a more aware and connected self. Your days will be filled with activities, as well as having free time to just hang by the pool, go exploring, shopping, and enjoy extra spa treatments too. 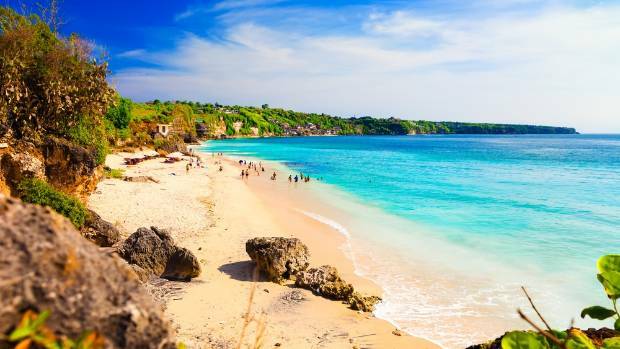 Explore both Canggu, where you can enjoy the Balinese beaches and maybe learn to surf, and Ubud, the yoga capital of Bali with all it has to offer. It is without doubt that Bali has it all – the culture and people, beautiful locations, amazing cuisine, great spas, and world-class healers. During this retreat you’ll explore the deep and nourishing qualities of gratitude and joy of what is. Being happy is about acknowledging our gratitude for what we have at that moment, for what we have done, for every success we have achieved. We will also offer you lots of tools to connect to your uniqueness, your purpose and what really drives you and lights you up. You are here, on this earth, for a very specific reason. You were created with intention and have a purpose in life that is entirely unique to you. The difference between simply existing and truly living a life of passion and intent is having clarity on our purpose and understanding, on a deep level, how to flow with the universe instead of against it. 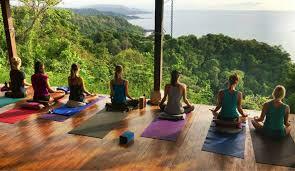 Bali is a great place to nourish yourself with some fantastic healing treatments and rejuvenate from the inside out. On leaving the retreat you’ll feel a fresh, calm, clarity that will travel with you back into your everyday life, to re-engage with new skills and a fresh perspective. Embark on this life-changing experience today and get in touch to secure your spot. We have limited spaces and they will fill up! Facilitator: Sankalpa from Pranabar and Xime Tamburo from Yoga Stop.